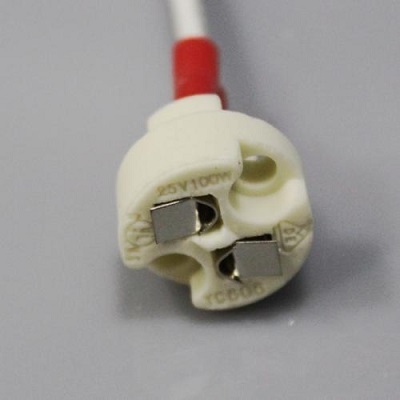 Bi-Pin Base, G4, G6.35, GY6.35, GX5.3 MR16, GZ4 MR11, Halogen Incandescent Led Socket Ceramic Wire Connector Base Socket. Those are also available under LEDS section on the right. G4, G8, GY6.35, GU9, MR11, MR16, and GU10 type bulbs are available at very competitive prices. The first thing to remember when ordering the right halogen, xenon, or LED Light Bulb is the type of base required for your fixture, lamp, or cable system. Once you have that information, then you will need to see what the is the wattage and voltage needed for the system. If your system carries more than one light bulb, remember to add the wattages of each halogen, xenon, or LED bulb to get the total. Usually, systems run on 12V low voltage but we also carry light bulbs in 24V, 28V, 120V and 220Volts. 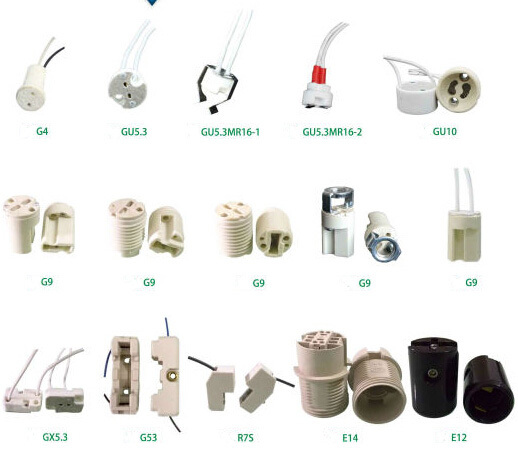 ADAPTER: Miniature bi-pin base, G4, G6.35, GY6.35, GX5.3, GZ4, MR11, MR16 Lamp Female Base Socket. SECUTITY: Mini spring mechanisms hold bulbs very tightly and solidly. It has great heat resistance,up to 200℃. CURRENT: 0 – 2A. Voltage:12 – 250V. Wattage: 0-100W. Weight: 9g (0.32 oz). Leads length: 15cm (6 inch). Leads diameter: 0.75mm. INSTALLATION: Easy to install. One-step installation. Plug bulbs pins into porcelain lamp holder without using other tools.